Could be called the Lexus RC-C when it enters production. 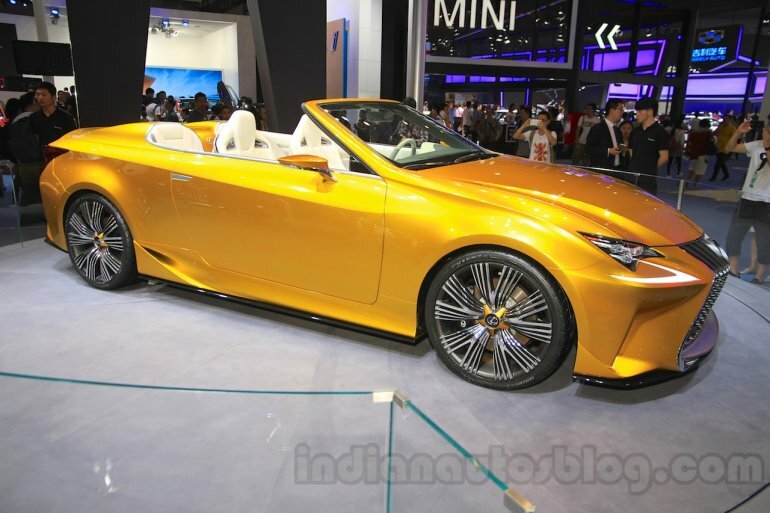 The Lexus LF-C2 Concept from the 2014 Los Angeles Auto Show is now being showcased at the 2015 Chengdu Motor Show, which previews a the Lexus RC convertible. It could be dubbed the Lexus RC-C, and will adopt an aluminum retractable roof for lighter weight, while a flagship RC-F convertible is under consideration. The production version of the Lexus LF-C2 could borrow the engine lineup from the Lexus RC, which includes a 3.5-liter V6 from the Lexus RC350, which produces 314 bhp and a peak torque of 380 Nm, and paired to an eight-speed sequential transmission. An RC250h Hybrid Drive system could also be introduced, featuring a 2.5-liter four-cylinder engine paired to a 105 kW motor and an electronic CVT with six stepped gears. 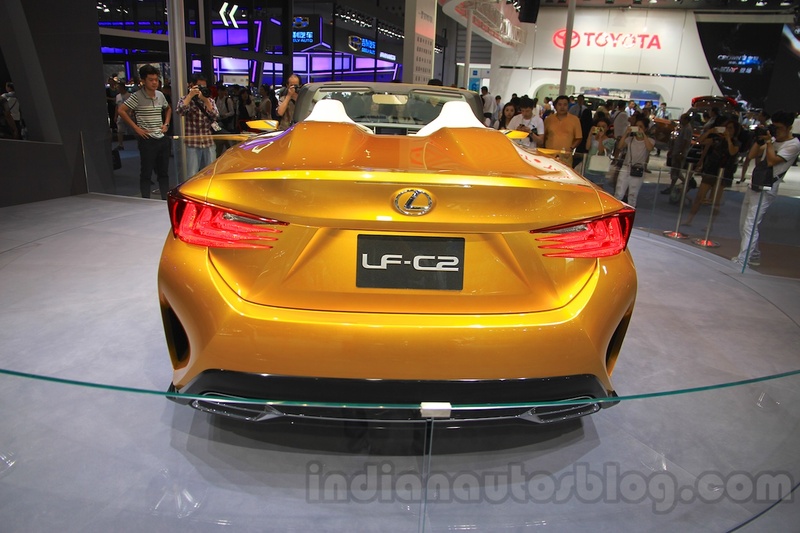 In 2014, Lexus had, reportedly, shelved plans on putting the LF-C2 into production due to feedback from U.S. dealers. If it does come into fruition, it will replace the 7-year old Lexus IS C convertible, which is based on the previous generation Lexus IS.